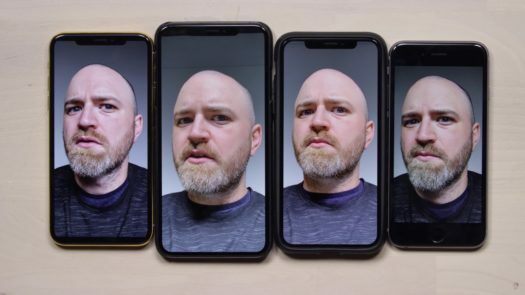 The 3 new iPhones have a weird beauty mode to them with the selfie cameras. The iPhone XS, iPhone XS Max, and the iPhone XR all have great cameras. Probably one of the best cameras on a phone to date. Oddly enough, the cameras add a different tone to iPhone users pictures. They have tested the cameras with older iPhones and I could definitely tell that they added some type of tone to the skin. I do not think Apple came up with this to make their customers mad. It was something internally in the software. Apple came out with an update Tuesday iOS 12.1 which fixes this issue. The so-called “beauty mode” has been erased and brought the cameras back to their normal state. The very popular app called Snapchat also has a huge issue with the new iPhone cameras. They have an automatic zoom to the face and make the picture look awful. This is all on Snapchats end of updating the app to fit the screen of the new huge iPhones. Many users are very annoyed with this issue and users are demanding a fix. Some users tweeted their opinions of using Snapchat on their new devices, one called the camera quality “hot garbage” while another said their Snapchat photos looked like they were “being taken by a potato,” the quality was so bad. All these issues will soon be fixed as time goes on. They are new phones and came out last month but they will soon enough fix these.